These words could have been spoken this year. They probably could have been spoken on any Christmas throughout history. The world is a hard place to live in. And around Christmas, it can be even harder. It’s around the holidays that loved ones lost are the most missed. When hurts caused by families are re-made. When loneliness is strongest. For those of us who celebrate Christmas, if can be one of the hardest holidays. Christmas is laden with history. A distant history of a baby born in a manger, or the more recent history of our own lives. The lucky ones, like me, will have a good history to remember. Picking out and chopping down the tree. A traditional sweet treat that we’ve waited for all year. Laughter, gatherings, and quiet moments with an open Bible or firelight. But even those good memories can turn sour. And in moments like those, the words “Peace on Earth, goodwill to men.” can seem like a lie. Henry Wadsworth Longfellow wrote this time-honored song during the Civil War. He’d watched his country torn apart as brother killed brother. Only a few years earlier, Henry’s wife Fanny died in a accidental fire. He himself was severely burnt in an effort to save her. Henry couldn’t even attend the funeral because of it. He later divulge that his grief was so great, he was concerned that he might be taken away from his six children and institutionalized. The worst was not over. Henry’s oldest son, Charles, joined the Union army to fight for his country. A choice that ended with him severely wounded on the Christmas when Longfellow sat down to write the poem we still sing today. How is it I can love this song? It is heavy with sorrow and pain. It mourns the loss of innocence and love. Despair. As a writer of dark fiction, this song works it’s way into my heart in a unique way. You see, my fiction might be draped in all the finary of a “gritty” story. Blood. Hard choices between two evils. Grey characters. Death. But it’s not about those things. I strive to create realism in multiple layers. 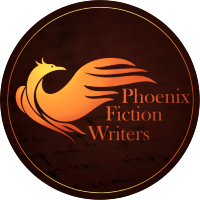 In my characters, in the science, philosophy, and complexities of hard ethical choices. And I’m honest about pain. Sure, I bump things up a couple levels, cause that’s how you do fiction. But the most powerful things are always the things that are real. Family. Love. Loss. Grief. Loyalty. And the stories I love the most give an honest look at these same things. Whether or not we would consider Lord of the Rings dark, Tolkien uses it to explore the depth of his worst experiences in World War One, and the hope he found in his friendships, his faith, and his courage. Anna Karenina might not be particularly uplifting. But through it we see faith exposed right down to its roots and find that real loyalty, love, and belief are possible even if they are rare. Brothers Karamazov might drag us through depravity on every side, but it also shows us that just as families can be full of strife, hatred, and treachery, they can also be brimming with love and sacrifice. And one good man can affect the world around him even when things and people look like they can’t be redeemed. For me the power of this song comes from these final words. As a Christian, I am not faced with one or two crises of faith, but a continual incursion by the sorrows of the world we live in. How can God allow some of these things in my life? How can he allow so much pain in the world? In my books I seek to ask the difficult questions and draw my readers to think long and hard about what is true and good. And this song is a model of sorts. It lays the worst things in the world out before us and says “don’t look away”. And just when we think we can’t look any longer, it opens its hands and pours out hope. 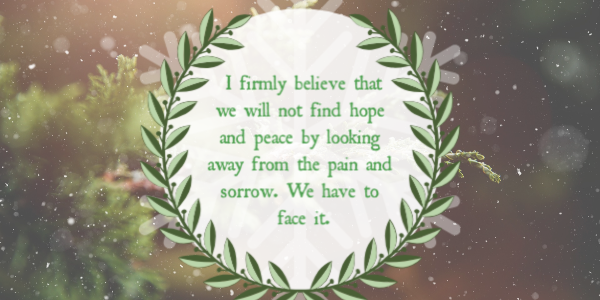 I firmly believe that we will not find hope and peace by turning from the pain and sorrow. We have to face it. Stand through it. And see that, yes, the bells still ring.